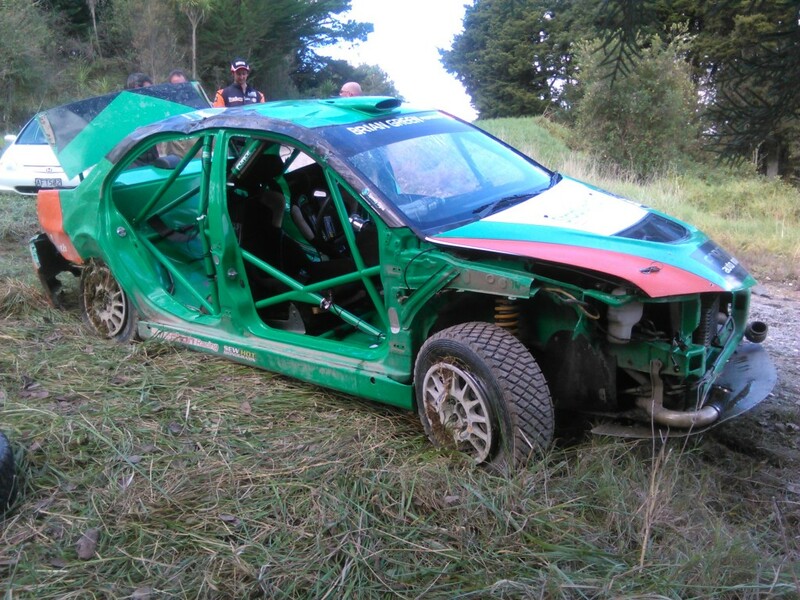 David Holders damaged Mitsubishi after this stage 15 off. Mount Maunganui Rally driver David Holder has suffered a major setback in his 2015 Brian Green Property Group New Zealand Rally Championship campaign, after a heavy crash ended an impressive run at the opening round, Rally Whangarei. Joined by stand-in co-driver Rob Scott for the event, Holder took the opportunity to write his own pace notes for the first time in his career, something the 26-year old described as ‘challenging’ but was proud of the notes he produced first time out. Holder headed to the event looking to bank a solid haul of points and made a strong start with times inside the top four across each of the morning stages. 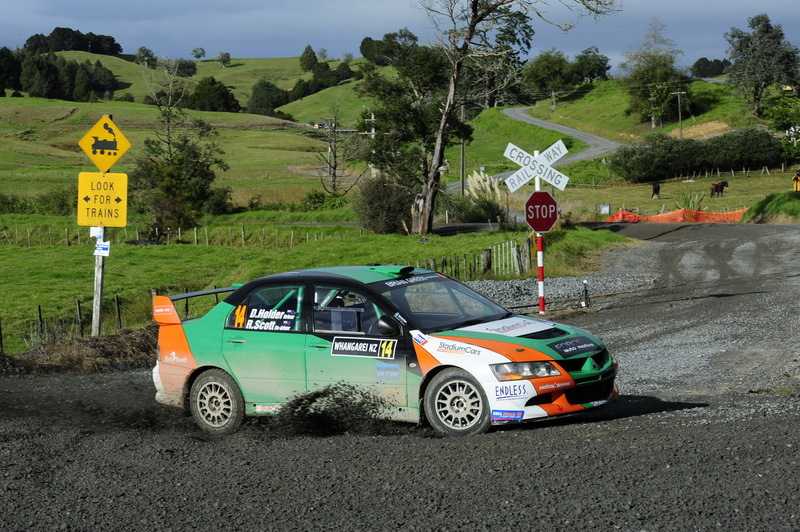 An increase in confidence with the pace notes saw a stage win, two second places and a third to move the Stadium Cars Mitsubishi up to second NZRC driver and top New Zealander by days end. Day two again saw some impressive times by Holder as he retained third place across the morning stages. The afternoon would start well with the third fastest time, but the penultimate stage of the rally would see disaster for Holder. “I missed the apex on a fifth gear right hand corner which pushed me out wide into the loose gravel on the exit of the corner. Unfortunately by the time I gathered the car back up and got into the middle of the road to brake we were almost at the next corner, so I threw the car sideways in a last ditch attempt to scrub off speed and hopefully get around the corner,” explains Holder. While the team operates with the backing of some fantastic sponsors, they face a race against time and an uphill battle with finances to have the Stadium Cars Mitsubishi ready again this season, particularly for the next round, Rally Otago in less than three week’s time. Stadium Cars, Force Automotive, VINZ, Provident Insurance, Bell Booth Limited, Reaction Racing, Endless Brakes, Monit Rally Computers, Speedy Signs Tauranga, Attentive Design, Tauranga Beaurepaires, Dunlop, Total Lubricants Mt Maunganui, Sew Hot Monograms, Mount Wheel Alignment, and Hayden Paddon.